Find all of our Amazon favorites in one spot! 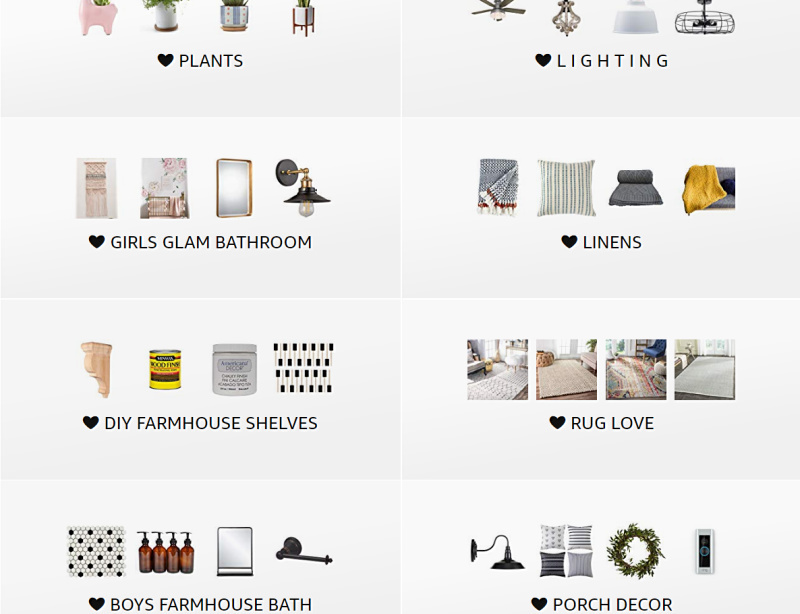 Did you know you can save your favorite Amazon finds in one spot? Here are our favorite tips on how to shop using Amazon lists. How to create collections to store all of your Amazon shopping favorites in one easy-to-navigate location! The different categories are called lists. 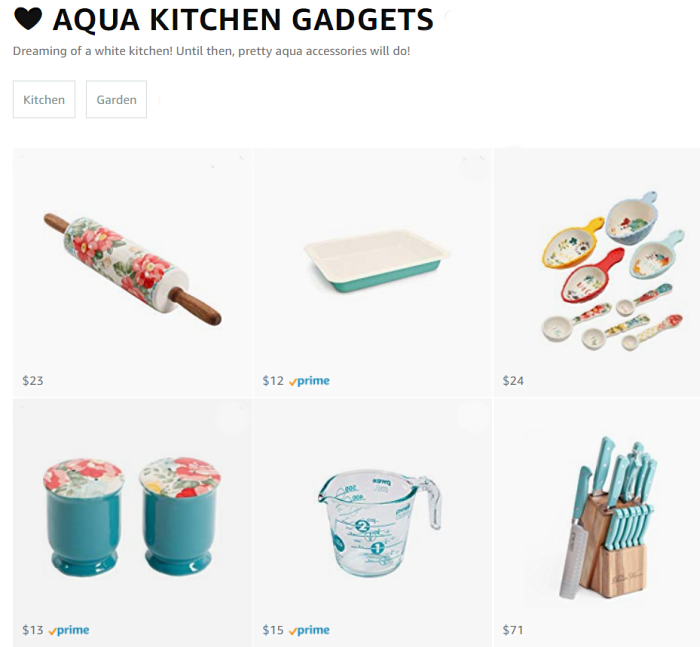 You can find all of our lists in our Amazon store like aqua kitchen gadgets, farmhouse dining room styling pieces, our favorite camping supplies, top makeup picks (from my very knowledgeable teen), our favorite rug styles and our glam farmhouse bathroom accessories, to name a few! 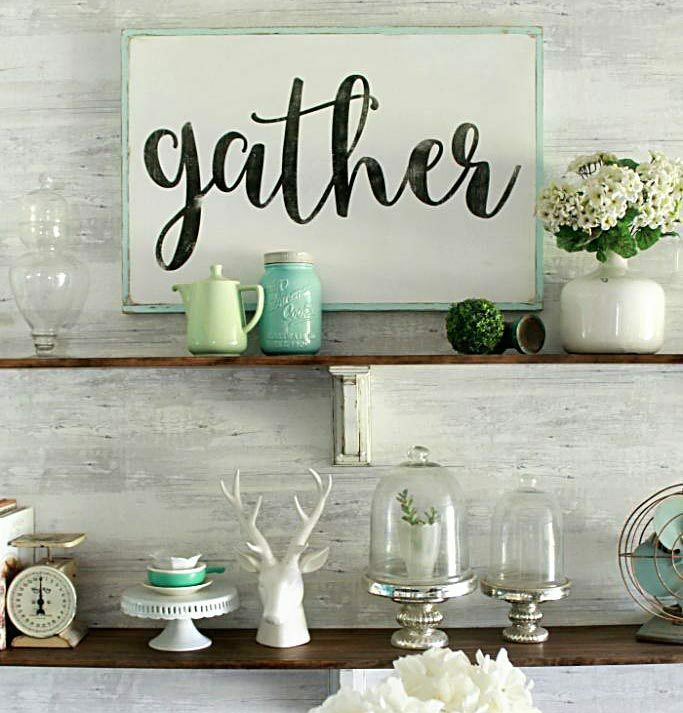 We constantly add fresh finds so check back often. YOU can use the lists, too! I already told my husband to reference my lists when he’s looking for a birthday or Christmas gift 😉 It’s basically like Pinterest but for shopping! 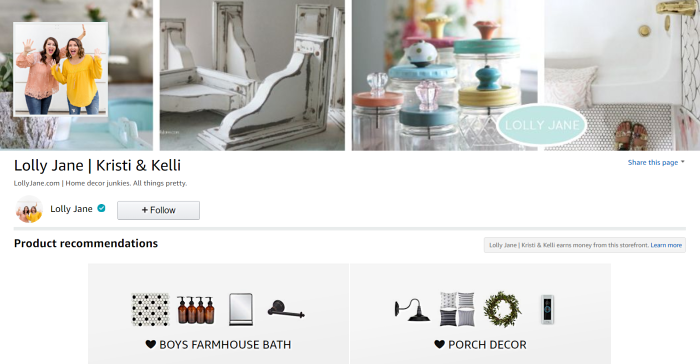 There are also baby and wedding registries, pretty neat. So what do you think? 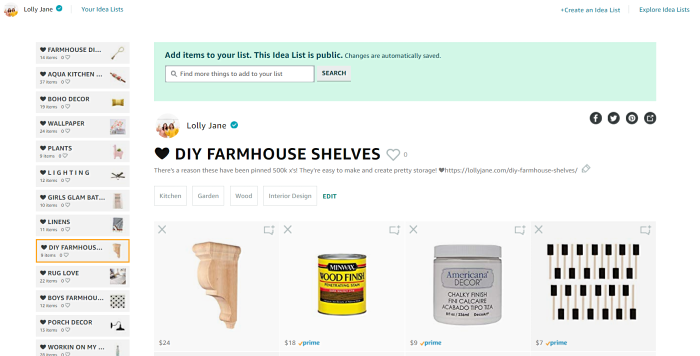 Will you be creating your own Amazon store list? 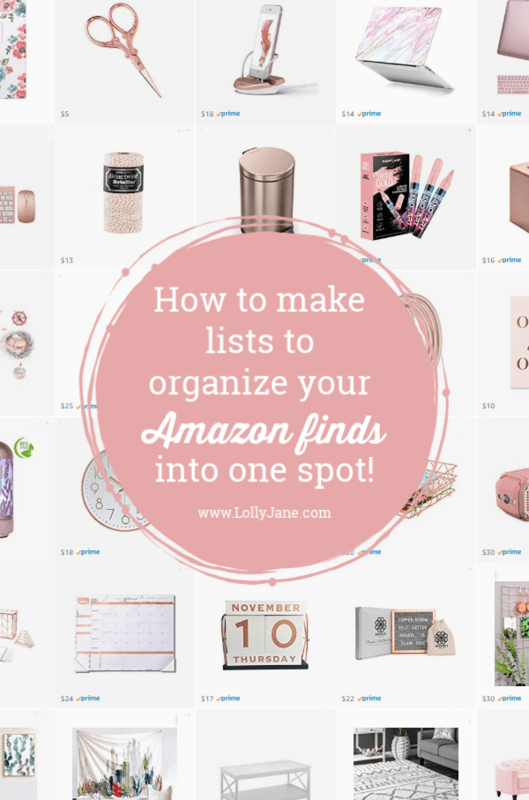 Please pin so your friend’s can organize their Amazon finds too! PS: If you’re an influencer looking to sign up, here’s a helpful page to answer all your questions on how to become an Amazon Influencer Store Seller. *Post may contain affiliate links. We may make money if you click a link on our page and make a purchase, it’s no added cost to you. See our disclosure. 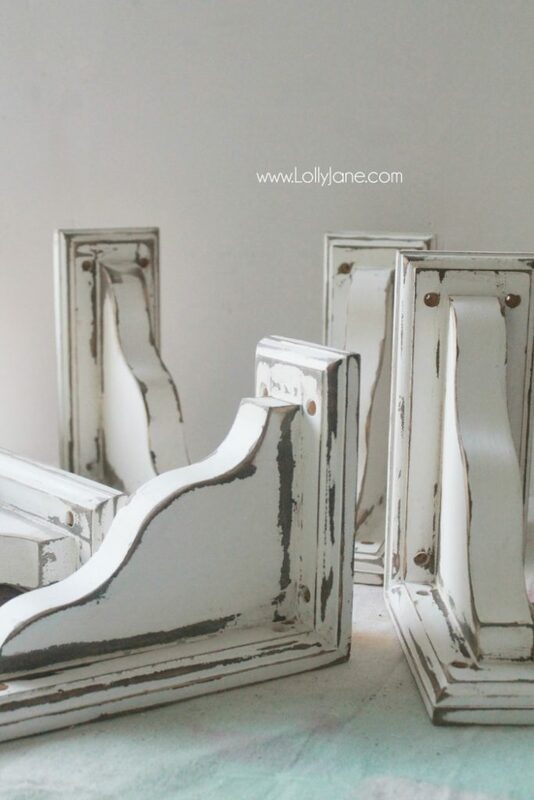 Thanks for supporting Lolly Jane, our DIY site full of free tutorials!